I wish. How often do those words roll across your tongue or at least pass through your mental lips? The difference between "I wish" and "I did" is not that big, yet crossing that line sometimes seems impossible. The risk factor involved in turning wishes into reality can become a huge mental obstacle. It is amazing and inspiring to look at the success stories around us while we ponder the "hows" and "whys" of what we're going to do next. What is the first step we need to take right now? Where are we going to improve? Who are we going to enlist to help us champion our dreams? What are the next five steps? If the creek isn't rising, today is as good a time as any to begin. We currently have our hands full getting the above menu ready and realizing that all the ingredients proposed are not currently available. That said, we are sourcing substitutions and having quite a good time making the appropriate adjustments in the kitchen. 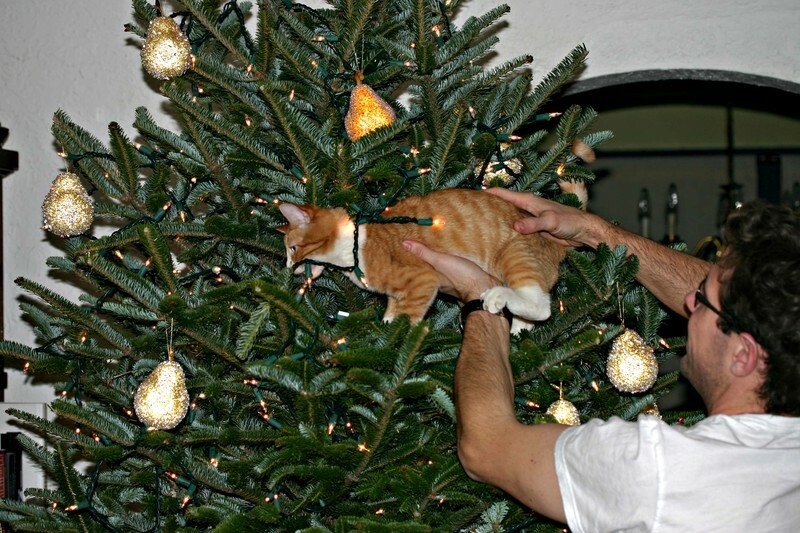 Improvisational skills are a very good thing. This is a food processor recipe because that's the fastest, easiest way to make these. If you don't have one you could grind the sugar and nuts in your blender and fold the rest of the ingredients together by hand. Do not attempt to move these cookies off the sheet trays until they are entirely cool as they are extremely fragile and will break on you. (if this happens just consider them a chefs snack) This recipe is an adaptation of two recipes: Mexican Wedding Cakes by Rose Levy Beranbaum and Russian Tea Cakes by Betty Crocker. With those two as sources, how could these be anything but delicious? Pulse the walnuts, 1 cup of powdered sugar and salt in the food processor until the mixture has the texture of fine breadcrumbs. Add the butter and process until smooth and well blended. Add the flour all at once and pulse just until the mixture forms a cohesive dough. Scrape the dough out into a small bowl, cover with plastic wrap and chill for at least one hour and no more than three hours. 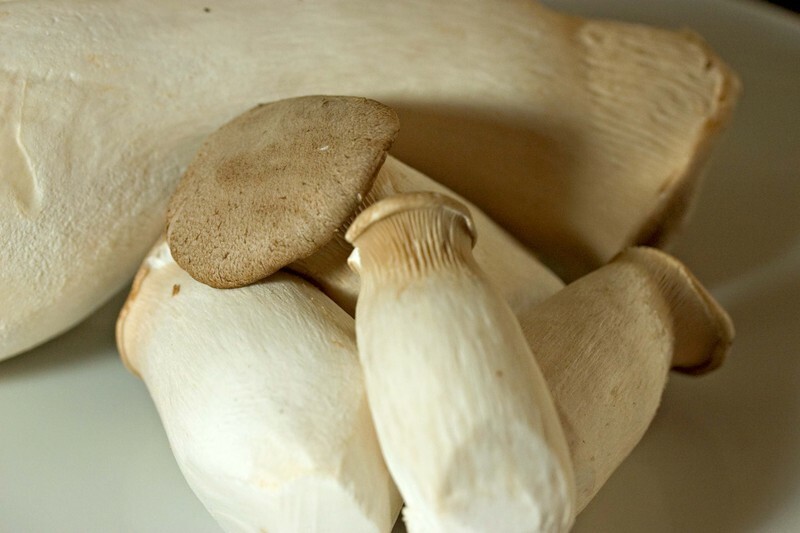 If you do chill it for longer than three hours, let it sit at room temperature for at least 45 minutes before using. Form 1.5 inch balls using either your hands or an ice cream scoop and lay them out on a cookie sheet with at least 2 inches between each cookie. I use half sheet trays and can lay them out 3X5 on the tray. Bake at 350 degrees Fahrenheit for 8-10 minutes, rotating once until just set and golden around the edges. Dust with powdered sugar and let cool for at least 15 minutes before removing from the trays. Makes approximately 30 2-inch cookies. They will probably keep for up to a week in a tightly sealed container. I can't say for sure because mine were gone in a matter of days. It's two days after Christmas and I am full. I've probably eaten more cookies over the last five days than I did all year long. There's an incredible variety that is required for the holiday because everyone has their favorites. 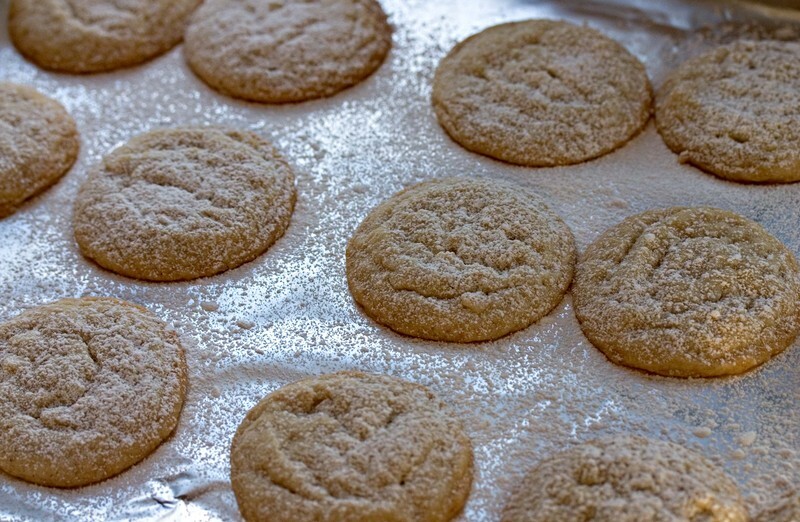 I like snickerdoodles. Although I also tried my hand at rugelah this year, stuffing the yeasted dough with rather boozy cherries and raisins. There were home made fig newtons for Alex, pitzels (a gift from the Goodwin family) for Aunt Marie, chocolate chips, peanut butter, and entire trays of home made cookies that arrived on our doorstep en masse. It was a beautiful thing. For Mom I tried to make butterballs. They are her favorite, made by the aunts when I was a child, now made by me. This year I couldn't find the exact recipe and cobbled together one of my own, adapted from many with my fingers crossed and my walnuts dusted in powdered sugar. In the end they weren't butter balls, Alex dubbed them butter flats. 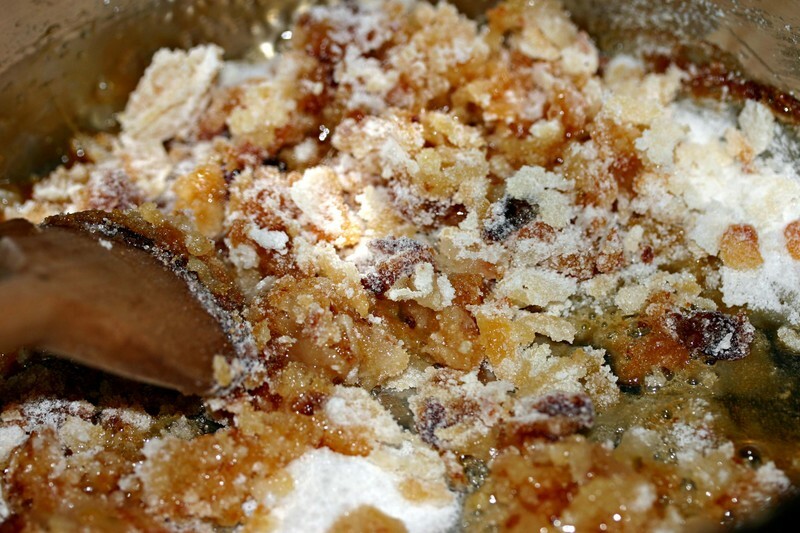 These were rich, delicate, crumbly cookies, with a slightly bitter edge, covered with powdered sugar and melting on the tongue. Everyone was happy to eat them and tomorrow I head back into the kitchen to figure out how I made them for future reference. So you'll have to wait another day or two for the recipe, although the memories, well, they last a lifetime. From our family to yours! Whatever your reasons to celebrate, do it with gusto and enjoy the moment. We are t hankful for so many things this year and we wish you all of the luck, happiness, health, and good cheer that the world has to offer. Happy Holidays everyone! ...and by the way, Santa brought us a video camera this year which means there will be interesting things ahead for Ideas in Food. That is, once we figure out how to use it! I do not think I have really eaten smelt, until last evening. Now I have and I have a new back pocket fish. 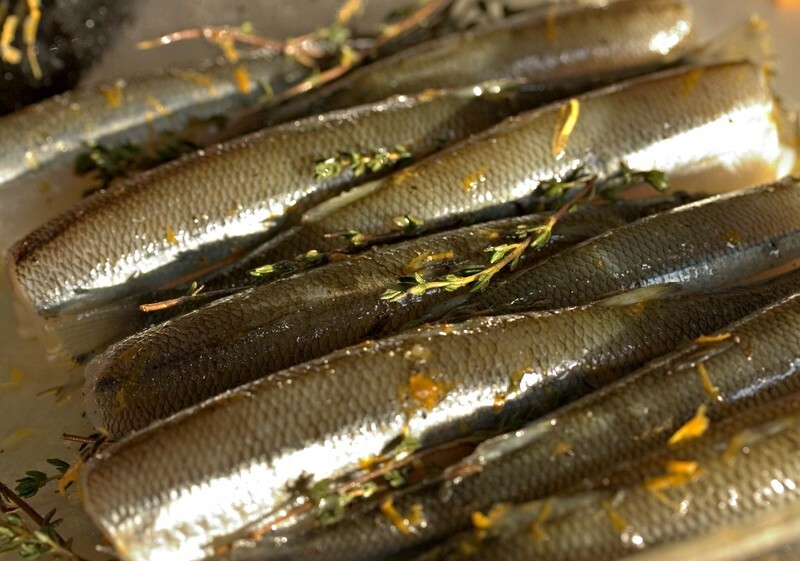 These super fresh smelts were truly delectable, marinated with Meyer lemon zest, thyme, black pepper and olive oil. These set the stage for tagliatelle with crab meat, garlic and red pepper flakes. The fish were grilled and serve with one more spritz of lemon juice and a sprinkle of salt, leaving the fish to shine as I had never truly experienced. The minced kampachi that was seasoned with the aji dulce zest is topped with shaved king trumpet mushrooms. 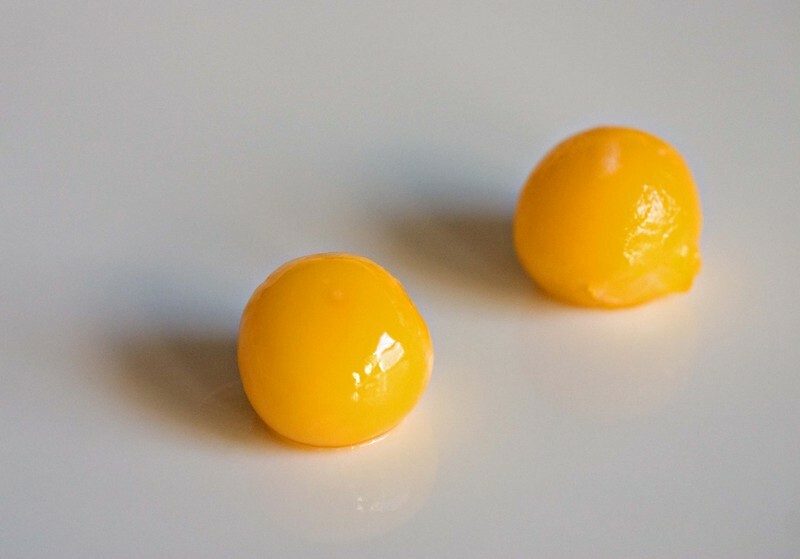 The hot spring quail egg yolks which caught my eye the other day were presented as I saw them on the plate. A sprinkle of course salt and a spritz of Meyer lemon (our citrus of choice these days) completes the dish. The only thing missing is the white anchovy brioche. It is incredible to believe that it has now been just over three years since we started Ideas in Food. In fact, these years went by so quickly that we missed the actual anniversary. Today we want to thank everyone for reading, commenting, pushing us, keeping us on our toes, and helping to generate more ideas in food every day. We have been exposed to some incredible people through the site and we have to thank everyone who visits us here for teaching us and for helping us grow in many directions. We wrote this welcome when we began the blog and are happy to see that we have not strayed too far off track. For today, we have also pushed this very first post to the top of the page as there may be a few folks who have not read our first step off the ledge. It has been quite a journey so far. As we begin our fourth year we can't wait to see what will happen next! This is a dish in the raw. 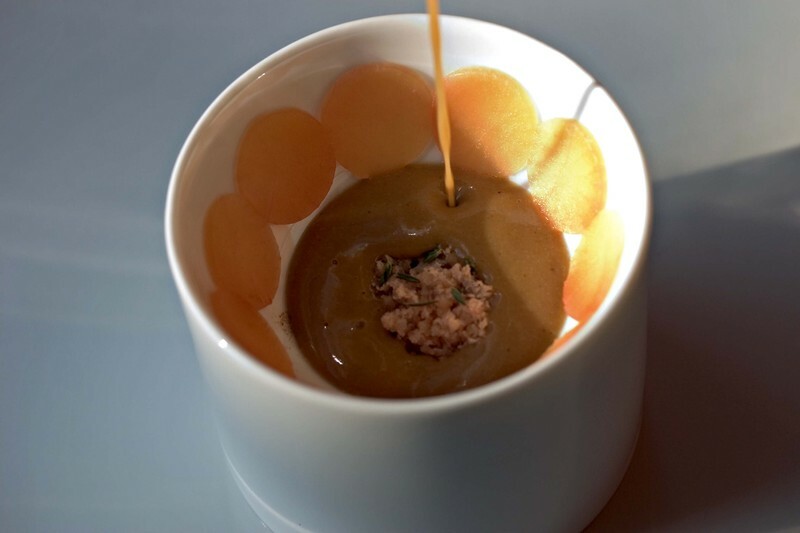 It is medallions of kampachi softly poached in gingerbread bisque and paired with miso soup compressed banana. The flavors blend. We have been looking at finished soups, sauces and dressings as more than simply their originally intended purposes. In this case, we use the intensity of flavor and body inherent in the bisque as a medium to gently cook the fish. Similarly, the firm and creamy texture of bananas easily lend themselves to many different expressions of flavor. We have enjoyed balancing bolder flavors like miso paste with the comforting texture and familiarity of the banana. What's missing from this compilation is the spike of acid and an herbal accent to really pull things together. 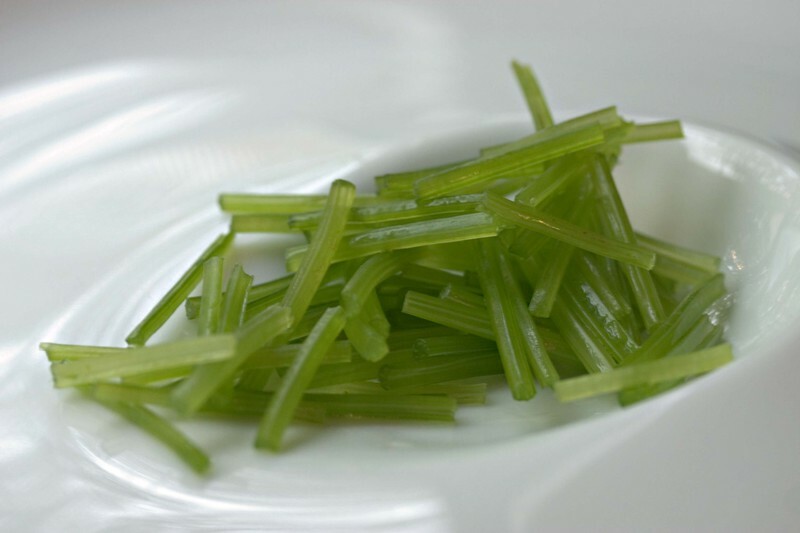 A few drops of sherry vinegar in the bisque to cut through the decadent, softly poached kampachi and some sliced chive stems, or even a scattering of pungent, violet chive blossoms would finish the dish on many different levels. Alternatively we could use dark rum soaked, sautéed pineapples tossed with a brunoise of jalapeño pepper instead of the bananas to brighten the flavor profile and add a final dusting of freshly ground allspice to pull everything together and balance the dish. There are always multiple ways to finish a dish. The question is simply which one tastes the best right now? When we purchased both our Grenada and Aji Dulce seasoning peppers we were told to store them in the freezer to preserve their life span. When we needed a bit of flavoring for a dish, we could just pull out a chili, mince it up and fold it into the dish at hand. Since I am not patient, I was not willing to wait for the chili to thaw so I could mince it. Instead, I used our microplane to zest the flesh of the chilies and keep the frozen interior and seeds for the bin. What is exciting about zesting frozen chilies is the fine consistent texture which we can fold into marinated fish preparations or use to finish a sauce. In this instance we have zested the Aji Dulce on top of minced Kona Kampachi. Similarly, if you look at our gingerbread bisque preparation the Benton's ham is also zested. We have frozen smoked foie gras and guacamole so that they could be easily zested as a final accompaniment to dishes. The zested ham is our first foray into frozen and zested meats. Though, we have been able to zest dried chorizo as it is quite firm and zests beautifully. In our first presentation of the gingerbread bisque (so named for its texture) we added rounds of cranberry cured daikon radish and zested Benton's country ham. The daikon adds tangy-ness and a fruity crunch. 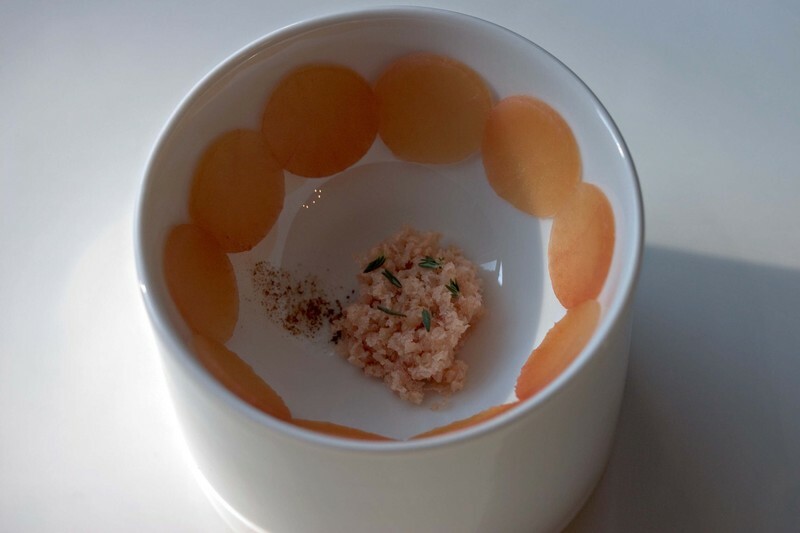 The frozen ham takes easily to the microplane and dissolves into the bisque leaving behind it's haunting, salty essence enrobed in the rich, spicy soup. A touch of coffee dust and a few thyme leaves add bitterness and herbal notes to round out the finished dish. The bisque perfumes the room and warms the body. Mission accomplished. We have been looking at the transfer of flavors. We have cured and brined fish and meat though curing vegetables is something we have overlooked. That is not quite accurate as we have preserved vegetables by pickling them with assorted flavors from passionfruit to pine needle. What we have not done is pack vegetables in a seasoned medium in order to intensely flavor them, until now. 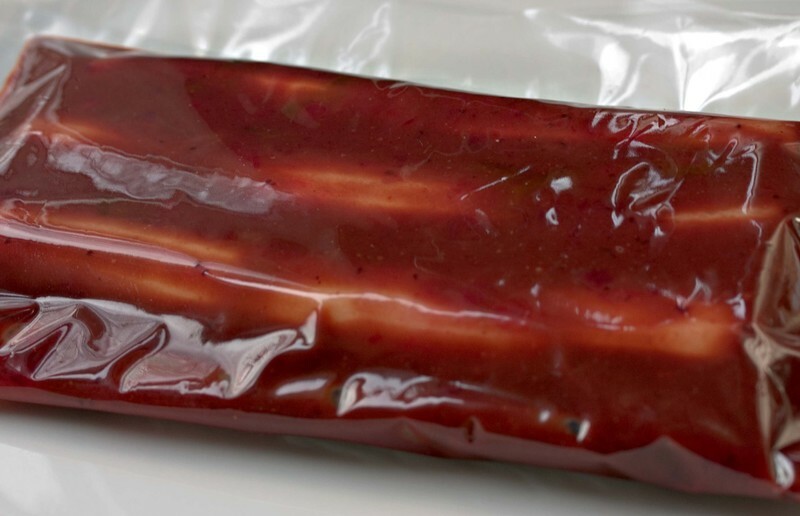 We have taken cranberry-miso a condiment from our pantry and packed peeled daikon radish in the blend and then vacuum sealed the mixture and let the radish cure for about a week. We then pulled the radishes out of the cranberry-miso and rinsed them off. The daikon had evolved. 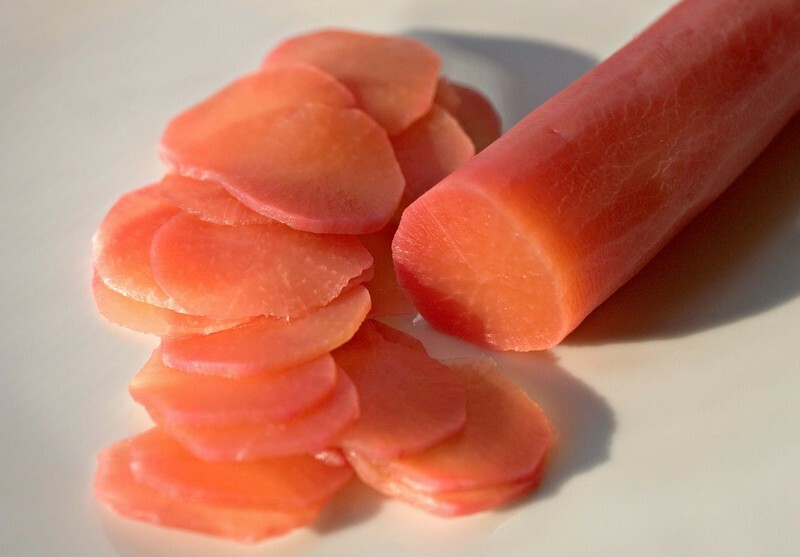 The radishes are orange-red in color stained and flavored by the cranberry, preserved by the miso and an interesting blend between pickled, cured and marinated. The radishes are crisp and juicy with a clear expression of these blended flavors. *and now we can begin to ask questions about combinations and possibilities. 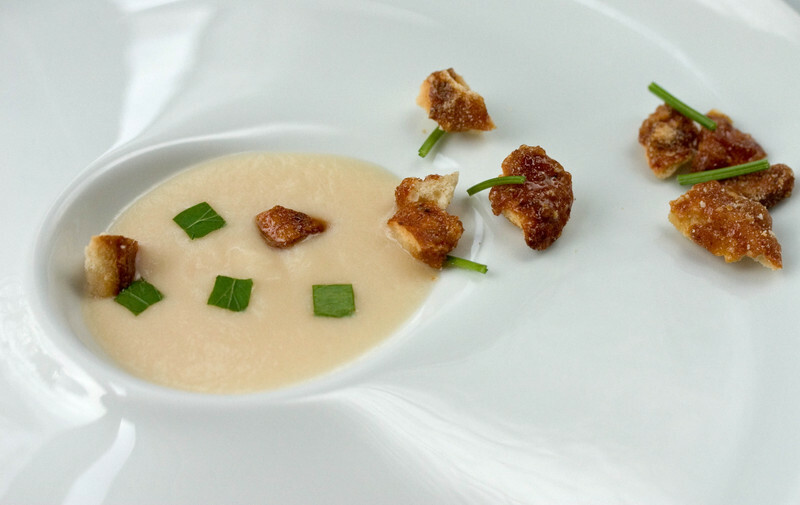 What about curing: cauliflower in grape miso? apples cured in smoked paprika and kasu (sake lees)? pumpkin or butternut squash cured in coffee and salted molasses? 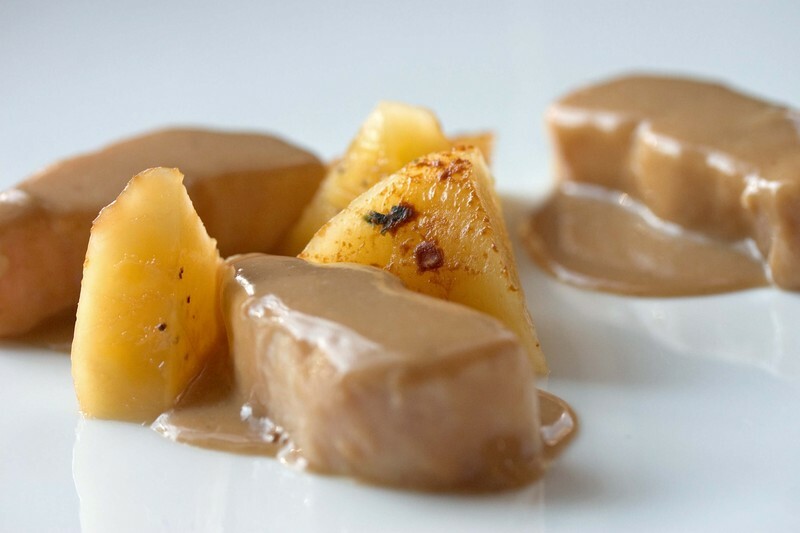 pears cured with honey and lime pickle puree? The surface is scratched, now we need to find delicious. I was working with hot spring quail eggs and was in the process of cleaning the whites from the yolks. As I began to set the cleaned yolks aside for a dish we were working on I knew we needed a picture. 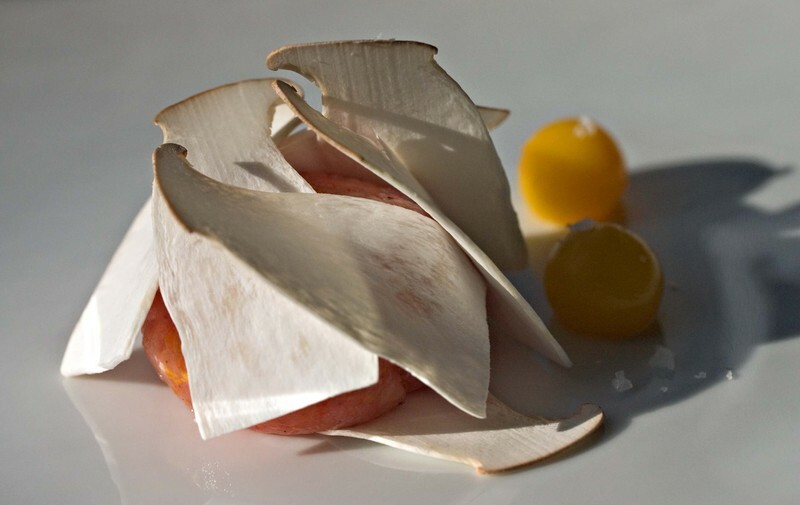 These yolks are the result of cooking quail eggs in their shells for forty five minutes at sixty five degrees Celsius. This January we decided to try something different for the new year. 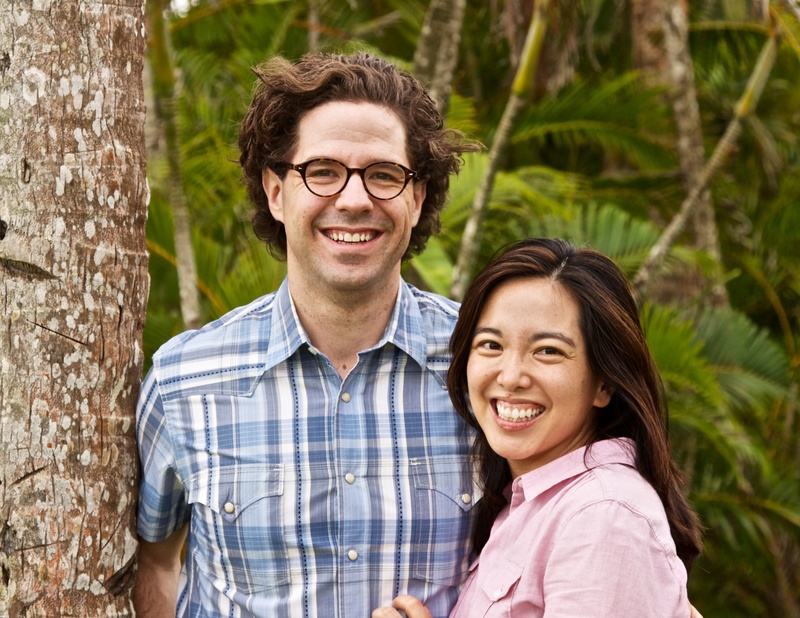 We are going to offer a series of Wednesday evening classes that revolve around a set menu. These sessions are designed to be less hands on the stove and more fork in the mouth, if you know what we mean. The menus published are guidelines, they may grow in length and be altered by inspirations, though their base content will be as written. These evenings will be limited to eight participants, prices include canapes and wine with dinner and yes, you can BYOB if you wish. This is undeniably our most popular class. It is an introduction to what you can do with textures in cooking. It is more of a demonstration class, with lots of tasting, so that cooks can become familiar with a range of hydrocolloids and how to use them. This class will begin with a tasting of different Valrhona chocolates from white to dark. The we will utilize the different types of chocolate in a range of sweet and savory dishes intended to highlight the different flavor profiles of the various chocolates. The kitchen smells better when there are fresh baked goods coming out of the oven and then cooling wherever we have space. Cookies, pies, breads, they all spark the olfactory nerve, which in turn triggers the saliva glands, and often times memories are triggered. Not even real memories, just ideal memories that I wish I had actually experienced. The scent, actually the idea of a particular scent, is the inspiration for our most recent soup. The smell of gingerbread baking, dark and spicy, warm, soft, the idea of a warm hug for your palate epitomizes what I was looking for. Of course in order to capture this memory I needed a bit of help. I asked Aki if she could make me a gingerbread. I did not tell her my final plans as I needed an impartial approach to gingerbread. I wanted her to share her vision and idea of gingerbread. With that as the platform I could then build the rest of the soup. Saute the county ham in the butter until it is evenly browned. Add the onion, banana, ginger and the spices. Sweat these ingredients until they are soft. De-glaze the pan with the coffee, then add the molasses and the gingerbread. Finally add the water and salt and bring the mixture to a simmer and cook for thirty minutes. Puree the entire base in a blender until smooth and then strain through a fine mesh sieve. Chill the mixture down. This is the bisque base. We have not yet moved beyond that. We have talked about incorporating langoustines or bay scallops, or even seared foie gras, although its final use or uses have not yet been decided. 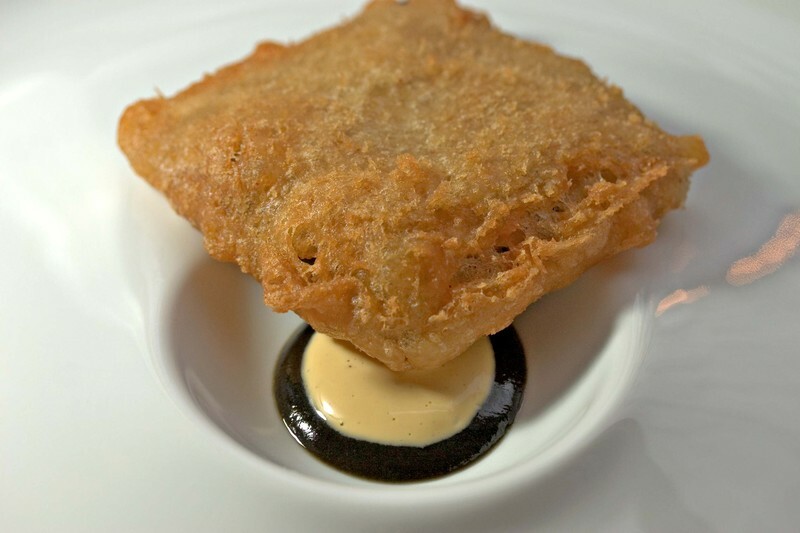 The bisque would be equally delicious folded into lentils to make them creamy and decadent or served with crispy skate or sweetbreads, or as a medium to poach lobster or squab. For now I am happy simply eating spoonfuls of the bisque and smelling the aroma of fresh baked gingerbread as it simmers on the stove. Why an olive ganache? The fruity nature of olives is quite similar to a variety of bittersweet chocolates. Similarly, if you puree olives until they are smooth and silky they resemble melted chocolate. With these comparisons it is no wonder I became inspired to make an olive ganache. The difficulty lay in deciding whether or not to add any chocolate to the ganache. After much debate we felt that the addition of a percentage of chocolate to the olive base would yield a more rounded flavor profile with the chocolate accenting and highlighting the olive flavors. Thus we made an olive puree and enriched it with some dark chocolate creating the olive ganache. We added a bit of carrageenan to the base to add some final structure to the ganache as well as some heavy cream to smooth out the flavors of the olives and chocolate. In order to compliment the olive base we incorporated a pretzel praline crust and crumb. The crust is our pretzel praline pulverized to a paste and then rolled thin between sheets of plastic wrap. The pretzel crumb is just the ground praline. In order to add a refreshing quality to the dish we added created a puree of northern beans spiked with vanilla and Meyer Lemon. 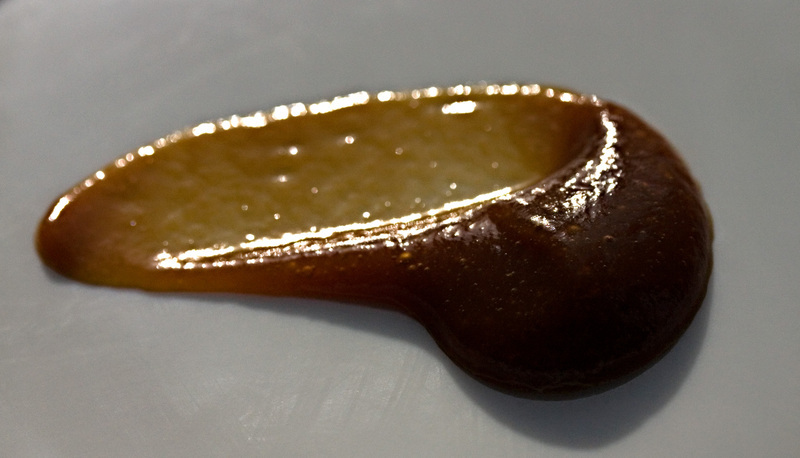 Finally, an olive brine and burnt sugar caramel adds a striking sweet, salty and bitter element to the dish. 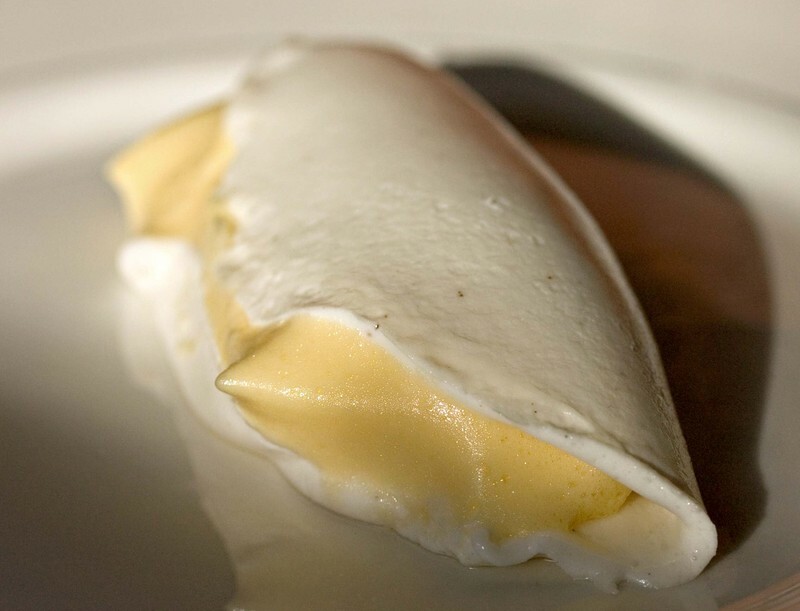 Here is a violet yogurt crepe stuffed with whipped mango created in our class this afternoon. We revisited two methocel preparations: whipped and griddled using F50 and A15C respectively. The result, what looks like an egg white omelet, the taste an Indian Lassi served hot. The outcome: smiles and the nerd factor of the day award. 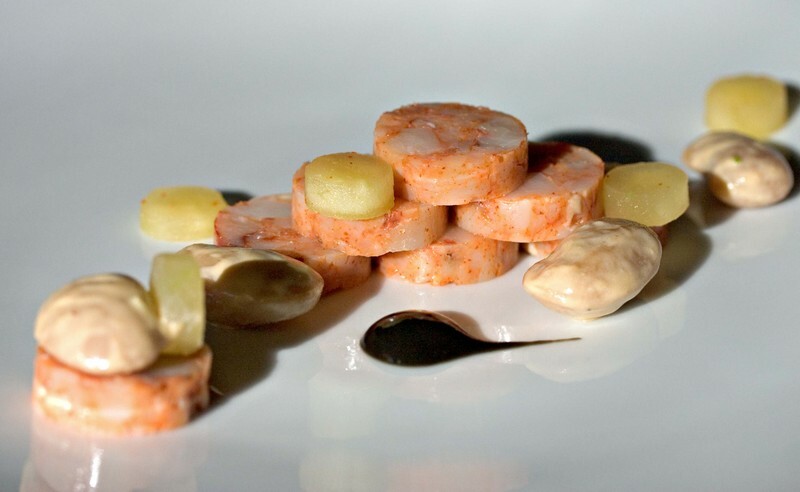 We paired the shrimp chorizo with giant butter beans, pickled apples and our black fennel puree. I seem to find more and more places where this fennel puree comes in handy. It pairs nicely with the apples and the slight marine quality from the squid ink parallels the flavor profile of the shrimp chorizo. The butter beans are dressed with a mayonnaise made with shrimp oil infused with chorizo spices. The apples are pickled in maple and champagne vinegars seasoned with cayenne. Together these ingredients are delicious. And while we have arranged them to suit our aesthetic, I believe a casserole of all these elements would be equally tasty and engaging. This dish is certainly stark. When I first looked at it, I questioned whether or not it was missing something. Then as I crunched and dipped and tasted my way through it, my hesitations disappeared. 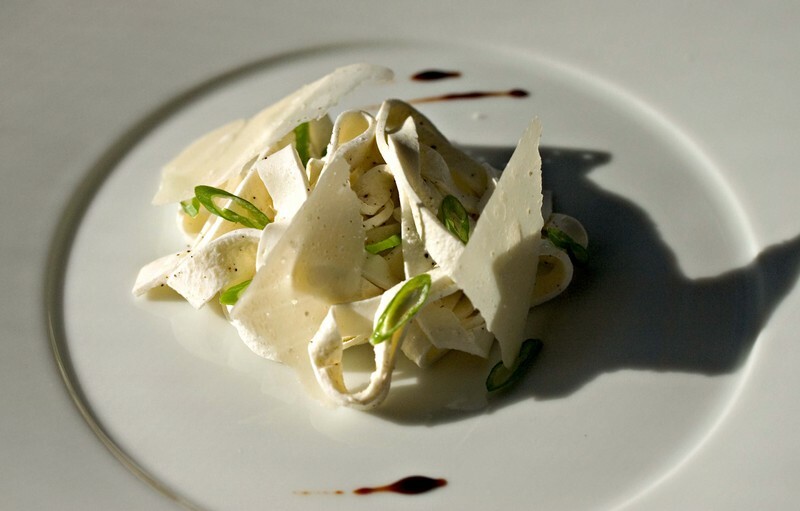 It quickly became clear that the true beauty of this dish is contained in its simplicity. The calamari is dusted with cornstarch and then dipped in a beer batter. A quick turn in hot oil results in a crispy exterior and a moist and tender interior. The sauces, Meyer lemon mayonnaise and black fennel puree (enhanced with squid ink), brighten and accent the crispy calamari while still allowing the squid to shine. While we debated the addition of herbs to accent the dish, we felt the bright flavors from the fennel and the Meyer lemon provided the contrast and support for the calamari, and while an herb or two might be pretty they would also be superfluous. The dish is starkly beautiful and wisely we left it that way. Last year we were making giant sheets of fried cuttlefish. Our goal was to make a sheet which was crispy and decadent on the outside and sweet and tender on the inside, screaming of the sea. Since then, I have been wanting to take the fried cuttlefish or squid to another level. 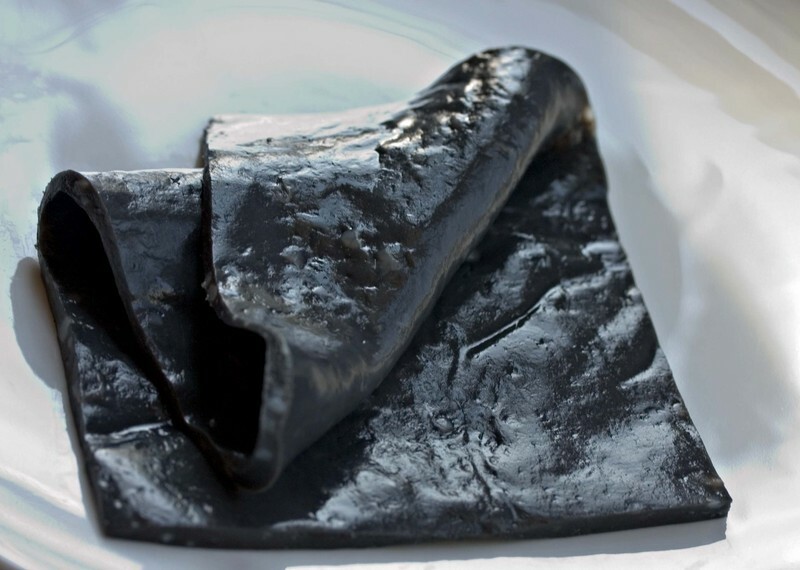 I wanted to make squid in its own ink, in the manner of our fried cuttlefish sheets. We started work on this project in October and something went amiss. We turned the result into grains of squid, an interesting and tasty adaptation of a failed attempt. Since then I had planned on revisiting the idea and this week we had the opportunity to play with cephalopods and their ink again. We found some giant calamari at a local market and we also happened to have squid ink in the pantry which we had purchased from Despana. We blended the squid and the ink in the food processor and seasoned it with salt and cayenne. With the addition of Activa, we bound the puree and then rolled it into sheets. It rested for a night in the refrigerator and then we poached it at 55 degrees Celsius for forty-five minutes. 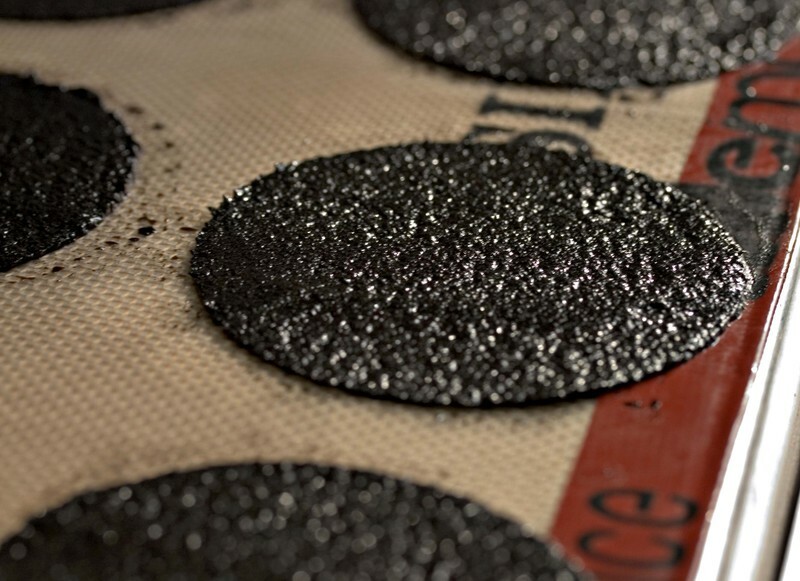 Once we were done we finally had beautiful black squid sheets. No, not me, the cheese. Prima Donna is a delicious nutty cow's milk cheese which when left to temper on the counter becomes a decadent afternoon treat. 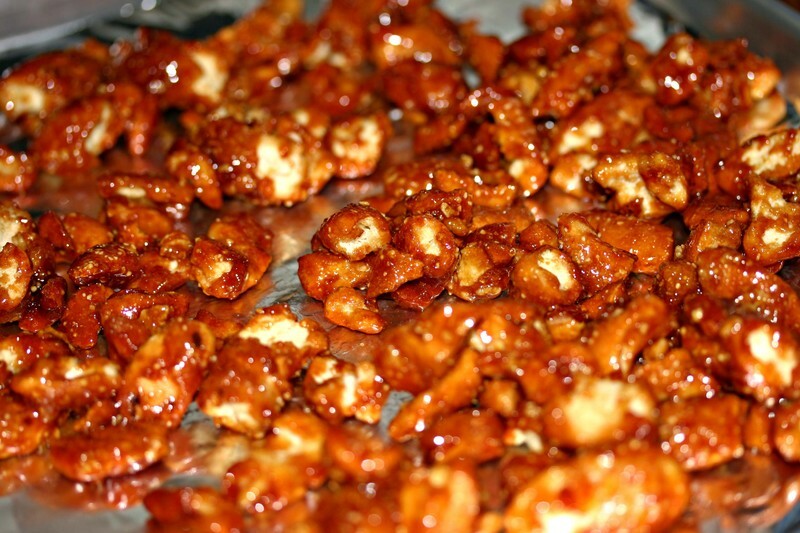 Its tender, crunchy texture and creamy, almost butterscotch-y flavor are addictive. A chunk of this cheese with a dollop of fig jam and Carr's water crackers will take the edge off even the hungriest of appetites and calm the most volatile temperaments with ease. Since we do not serve plain old cheese and crackers professionally, though perhaps we should, I have been working on a composed dish which highlights this tremendous cheese. Here we combine it with a block of cranberry-horseradish puree, eggnog-cardoons and orange rum caramel. 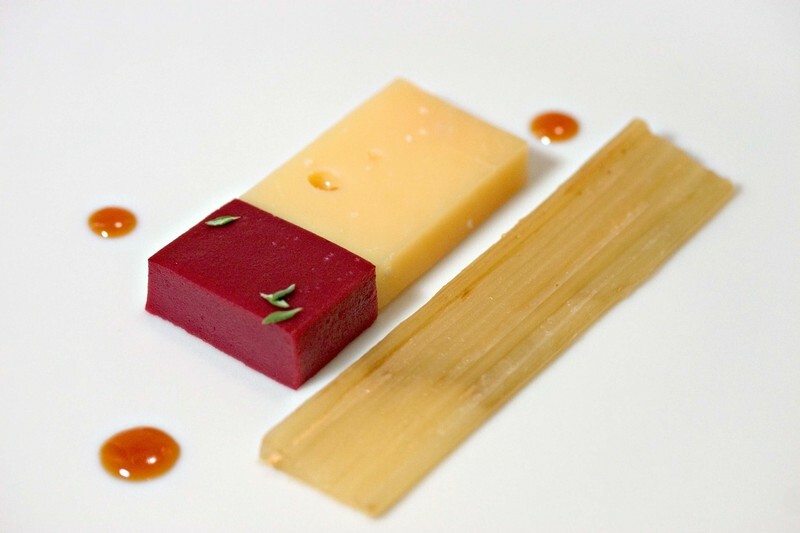 These accompaniments push and pull the flavors of the cheese across our palate in a delicious and satisfying exchange of flavors and textures. That's today's combination. What would you serve with your Prima Donna? We must thank Sean for sharing Food Pairings with us. It's a relatively new site devoted to the combination of flavors. They have about 80 ingredients listed so far in their food pairings tree and hopefully there will be more to come. This is quite a bundle of information, guaranteed to get the mind out of park and into a higher gear. 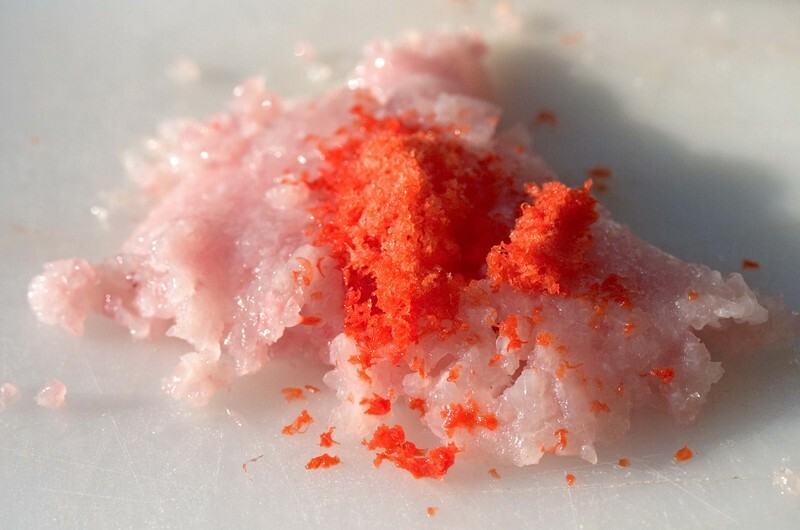 For those of you without access to Activa, just go without and add an egg white to the shrimp in the food processor and make a fine paste with it. Other than that minor adjustment, the recipe stands as follows. The egg white and/or the Activa are really just a bit of insurance since the shrimp should have enough protein to bind the sausages all by itself. Those of us who do this for a living always like to have that extra insurance policy in our back pockets, just in case. Roughly chop the shrimp. In a large bowl mix the shrimp with the garlic, salt, paprika and cayenne. Take half of the seasoned shrimp and place in the bowl of a food processor. Pulse to form a rough paste. Fold the processed shrimp mixture into the remaining chopped shrimp and then sprinkle one third of the Activa over the mixture. Fold the Activa into the shrimp and repeat twice more with remaining Activa to evenly distribute all of it into the shrimp. Place the mix in a piping bag and pipe foot long sausages on sheet of plastic wrap. Roll the plastic wrap tightly around the shrimp and twist the ends securely so that the shrimp resembles a foot long sausage link. Repeat with the remaining shrimp. This base makes roughly six links of chorizo. Refrigerate the shrimp base overnight, then poach the wrapped sausages in a water bath at 52.5 degrees Celsius for forty minutes. Cool at room temperature for 20 minutes then chill the chorizo in an ice bath. 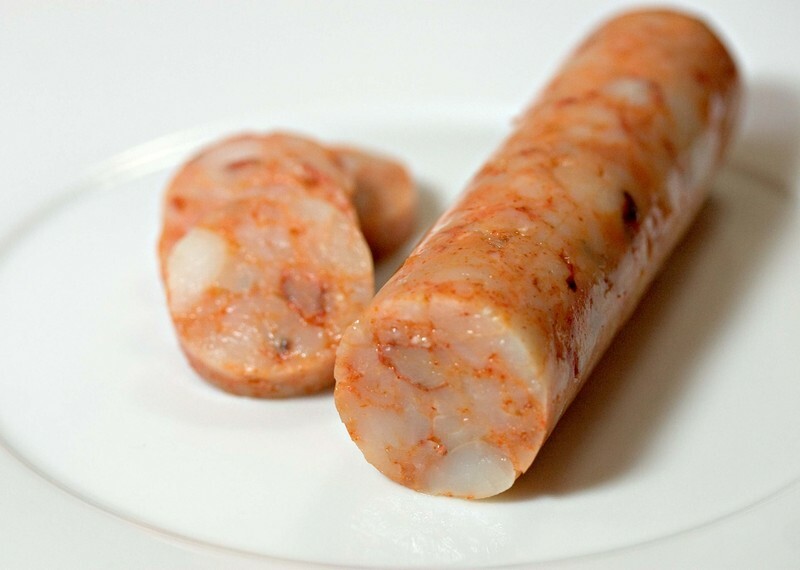 When the shrimp chorizo is commpletely cold, refrigerate it until you are ready to use it. Slice pieces of the chorizo and serve with grilled toast and olive oil. The nominations for the 2007 Food Blog Awards are now up and there are just three days to cast your vote in any and all categories. What is truly exciting about these awards is that each year we are exposed to a great number of new bloggers that we may not have found on our own. 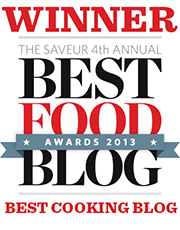 We are nominated for the awards for both Best Food Blog-Chef and Best Food Blog-Group and we would truly appreciate your votes. Although we certainly will not try to sway your opinions in any of the other categories, we do encourage everyone to vote for each award. And as you cast your ballots for your favorite blogs, we hope that you will take a moment to visit the websites of the other nominees, you are certain to discover many hidden gems. We certainly did. There are some very passionate people out there, sharing their love of food with the world. Thank you to everyone who threw our names in the hat. It is our honor and pleasure to be recognized for this site. Thank you all for stopping by. We missed the boat, but you don't have to. Menu For Hope 4 is now live. There are incredible prizes being offered. While this year we did not donate a prize, we will definitely be buying some raffle tickets with hopes of winning one for ourselves. So come on, check out the list of amazing donations that our fellow food bloggers have put together. People who love food and wine tend to be a generous bunch and this year is no exception. And for those that want to see beyond the prize, as we all should, here is the information on where your money will be going. It's a reminder that somehow there's still not enough food in the world because every day there are still people going hungry. The blending of flavors and ideas continues to be an important part of our developmental process. Recently I have been working on sausage seasoned shrimp, an idea expanded upon from our shrimp grits and our shrimp and truffle roulade. The idea is to make shrimp with the flavors of sweet Italian sausage and to be able to serve chunks, either in a pasta dish, on top of grits or as part of a seafood stuffing. As I absorbed myself in the process, other sausages and preparations have been pouring through my head. As my second cup of coffee started taking its effects, there was just a twinge of jitter, and as our cranberry horseradish simmered in the kitchen I had my eureka moment: chorizo cured shrimp; no, wait, shrimp sausage cured like chorizo; no, shrimp chorizo. That would be absolutely delicious. If you look closely at the shrimp roulade, the marbling is similar to that of dried sausages, particularly a beautifully marbled chorizo. Now, I must dash out to the store to get some more shrimp. I hope to have a finished recipe by day's end. The original inspiration for this was the idea of a pretzel praline. Pralines are traditionally made with pecans cooked and set in a soft caramel disk that is enriched with butter and cream. Some recipes call for whole pecans while some stud their confections with chopped nuts, although they are alway tender, creamy mouthfuls of nutty goodness. 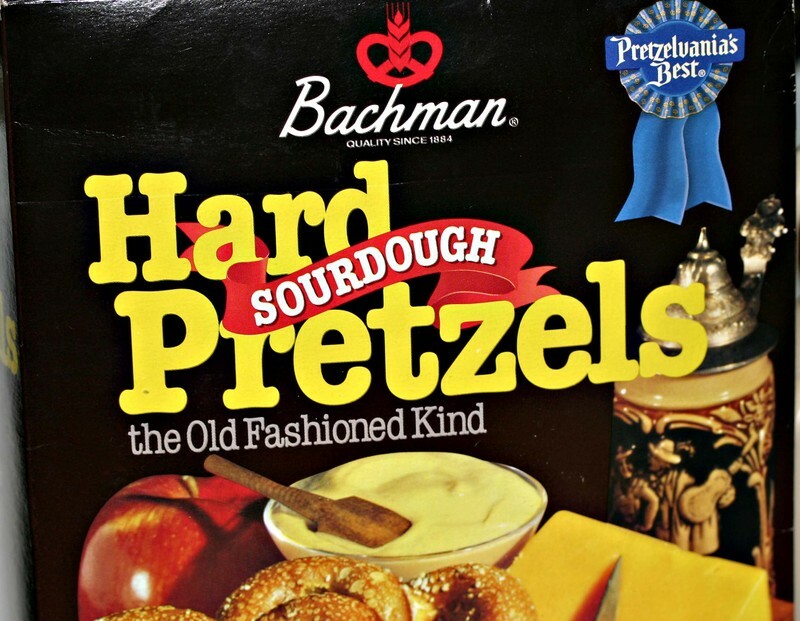 We had a box of large sourdough pretzels in the house and Alex was struck with idea of making a pretzel praline for use in various creations. We discussed it over the course of a dog walk and I decided to make something a bit crumblier and crisper, a play off sandy nuts because I thought it would be more versatile than the traditional creamy praline. Besides, one of my favorite ice cream flavors is Pralines and Cream, a vanilla ice cream ribboned with caramel and studded with tender-crisp candied pecans. So those are the nuts that came to my mind when Alex began discussing pralines. As we all know the first time I made this I didn't measure. I tossed a couple of handfuls of sugar in a heavy bottomed pot with a pinch of salt and several fist fulls of broken pretzel pieces. You could make these with pretzel nuggets but I like the different shapes and textures of the broken pieces. We used sturdy, salted sourdough pretzel pieces and they gave the finished product a nice uneven texture and crunchiness. I turned the heat on high and began to stir. The sugar at the out edges of the pot caramelized quickly and I continued to to turn the pretzels and sugar with a wooden spoon. The caramel was dark amber and sandy and the pretzel bits toasted in the hot sugar. Once everything was coated and caramelized to my satisfaction I added a few bits of butter to loosen things up and add a bit of richness to the blend. Once it melted in and combined with the caramel mixture I turned it all out onto a sheet tray lined with buttered foil and let it cool. It was pretty delicious stuff. If it seems too hard, I would fold it into some softened vanilla ice cream and let it set up in the freezer for a couple of hours. Or mix it with nuts for a bar snack to die for. Or grind it up and use it as the crust for a dense cheesecake. Make a coarse crumble to garnish a seared duck breast. Or, well you get the idea. Just have fun with it. This time I changed things up a bit and started the caramel before adding the pretzels. This turned out well, but it was not as sandy and textural as the first version. It had a much harder, glassier coating than the first version. So if you like more of a crunchy caramel, melt your sugar before adding your pretzels and if you like it a bit softer and mores sandy, add the pretzels before you turn on the heat. Either way, don't walk away from the pot or you will burn your sugar. It's a very quick process, in just over ten minutes you can be eating the results. 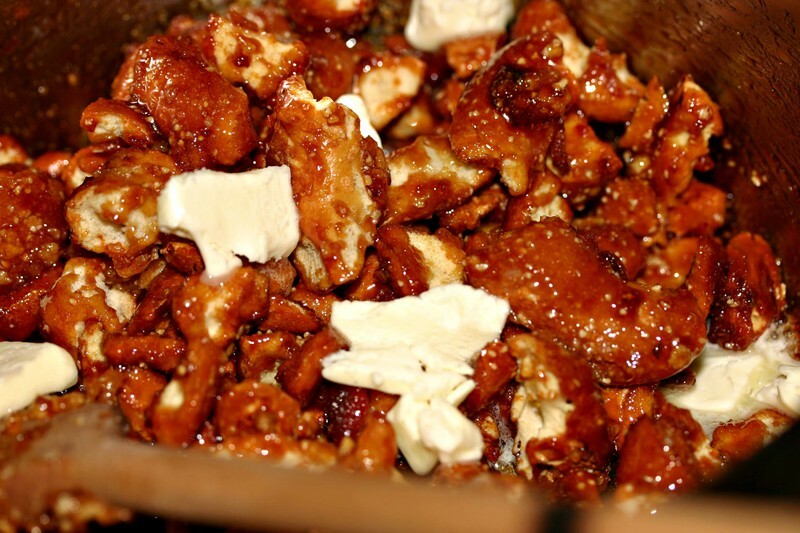 Place sugar, salt and pretzel pieces in a heavy bottomed pot over a high flame. 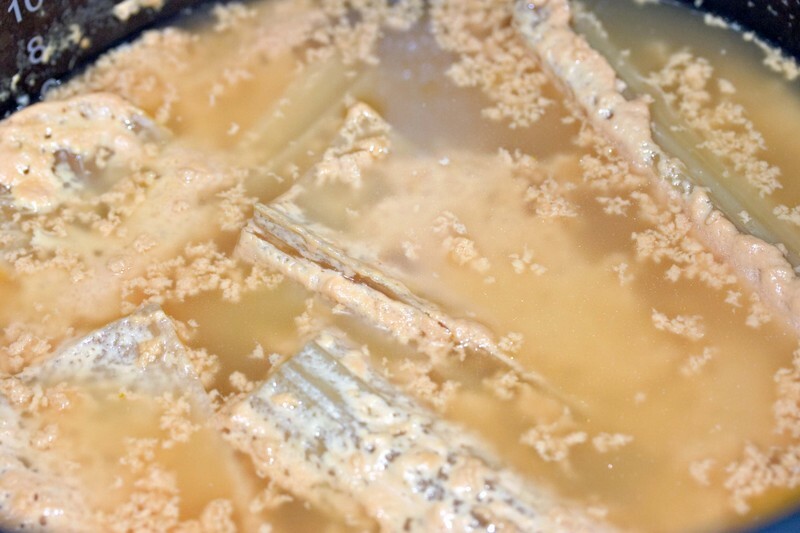 Stir the mixture constantly with a wooden spoon to thoroughly coat the pretzels with the melting sugar. Once most of the caramel has turned amber, but still looks sandy, lower the heat and add the butter. Stir well to blend and once the butter has been fully absorbed, turn the pretzels out onto a buttered sheet tray or silpat. Let cool for at least 10 minutes before eating. Most recipes for cardoons, a member of the thistle family and a relative of the globe artichoke, begin with trimming, peeling and poaching them in acidulated water for an hour or more until softened and silky-textured. Once the cardoons have reached this prepared state they are then ready for final preparations ranging from gratins to soups to an accompaniment to a roasted veal shank as sweet, tender bites of vegetable, dripping in pan juices, both sticky and rich. Why are cardoons prepared in this manner? I understand the trimming and peeling, after all, no one want to eat the tough, fibrous outer edges. It is the long simmering in lemon water that I wonder about. Sure, there is definitely a need for tenderizing, although lemon water itself has only so much flavor. Frankly to mind it's a bit dull. 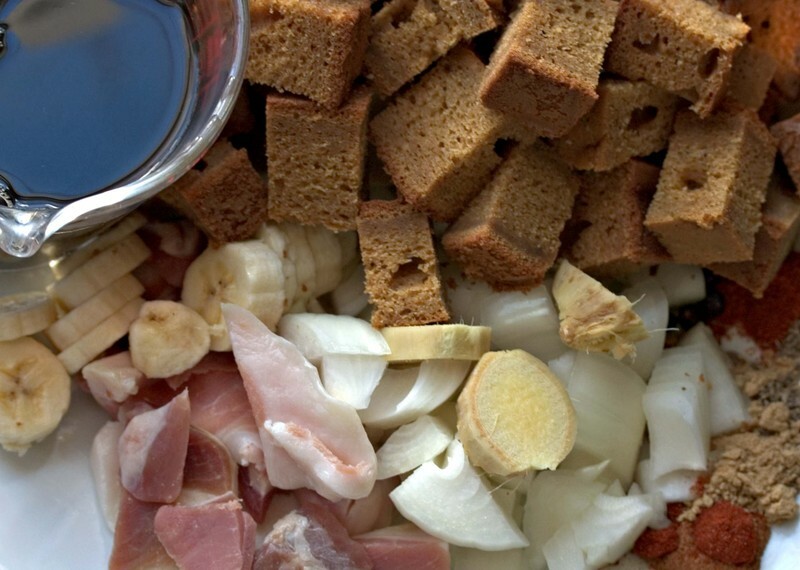 Why not start layering your flavors from the very beginning of the cooking process? A vast number of recipes seemed to feature the cardoons bathed in Bechamel sauce, sprinkled with cheese and browned to a bubbling gratin in a hot oven. What if we cooked the cardoons in a rich flavorful medium from the start? We also wanted to speed up the cooking process. To our minds, the process of simmering the thistles for an hour in water would only leach the flavor from the cardoons without adding anything special in return. With these goals in mind, it should be no surprise that I reached for our pressure cooker and the eggnog. I loaded the pressure cooker with the trimmed cardoons, seasoned them with salt, added a cut up Meyer lemon and covered them with the eggnog. Why eggnog? Think about the traditional bechamel and its various incarnations as sauces and gratins. Eggnog echoes their intrinsic flavors and characteristics in a sweeter and sometimes spicier variation. I felt that the inherent sweetness of the eggnog would work well with the bitterness of the cardoon. I added the Meyer lemon because I did not want to have the vegetable out of balance. I thought that the acid and floral qualities of the lemon would benefit the thistles. I set the pressure cooker for seven minutes and hit start. The pressure cooking actually caused the eggnog to separate into curds and whey. The resulting stew may have looked a bit rough at first. On the positive side, this separation allowed us to strain out the curds and marinate the cleaned cardoons in the not quite crystal clear, cooking liquid. The eggnog added a layer of flavor that was surprisingly subtle. The finished thistles were softly toothsome and redolent with sweet spices and a whisper of richness from their bath. The additional marinating in the broth keeps the cardoons juicy and crisp while allowing the flavors to meld and develop. 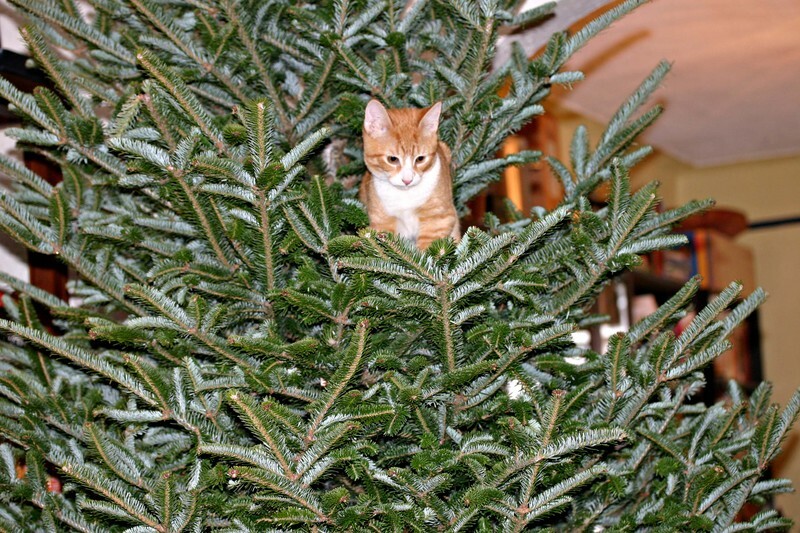 You do not need to use eggnog. Buttermilk or even ranch dressing would be equally delicious, as would prosciutto broth or brown butter consomme. We could have even taken the path of cooking the cardoons in the style of Artichokes Barigoule and they would have been delicious. What we found exciting is that by combining a flavored medium and a pressure cooker, we were able to impart flavor and texture quickly and efficiently into a vegetable which is often overlooked because of its lengthy preparation time. 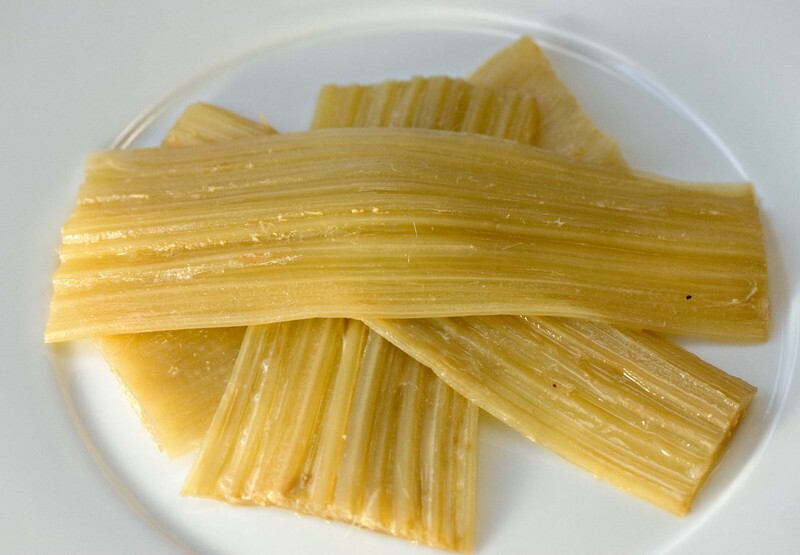 The next time you stumble across cardoons in your local market, take them home and see what 7 minutes in the pressure cooker will do for you. I think we forgot to mention that although the class on Saturday, December 15 is closed, we have added a class on Sunday December 16. It's an opportunity for interested cooks to familiarize themselves with some new techniques before the holidays. Email us using the button on the sidebar if you'd like to make a reservation. We have had a couple of no-shows and as a result we do require a phone number in order to hold a spot in the class. Each class has been a little different, dictated by the personalities attending on that particular day. If your curious about what can be done with hydrocolloids and how good it can taste, please join us. 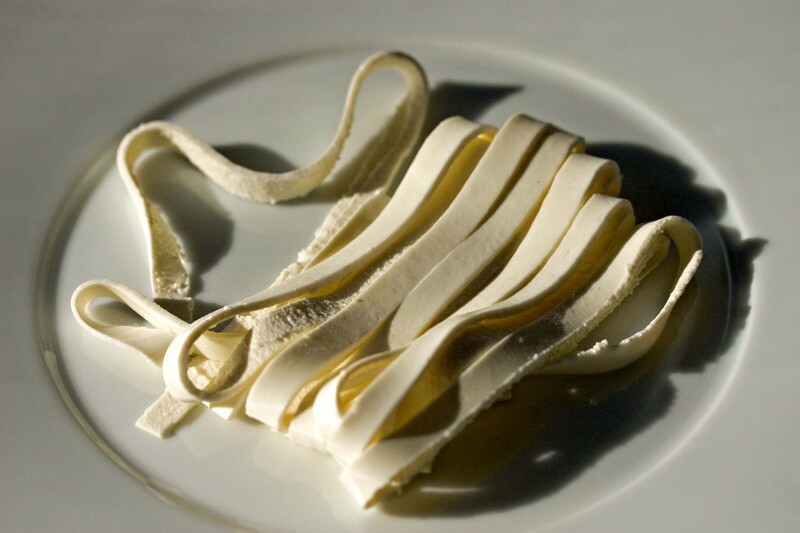 Two years worth of experiments and countless failures have finally yielded a mozzarella noodle which we can serve hot or cold, make in advance and cook to order. In the past we had some fun and limited success making mozzarella udon. For our purposes though it's practical applications are limited. Today we ate both mozzarella noodles and gnocchi. These were made courtesy of Ajinomoto's Y-G activa. The texture was firmer than what we have been able to achieve in the past and the gnocchi have a squeaky texture that is very similar to that of the fresh mozzarella we used to make them. It's time to figure out the best way to highlights these new creations. Let the fun begin! We have finally added pretzel pralines to our culinary arsenal. These sandy sugar and butter crusted salty crunchy treats may be the ultimate bar snack. Since I cannot leave anything alone, we have partnered the pralines with a turnip-comte and Benton's country ham soup. A few leaves and stems of parsley complete the dish. Now if only Aki will give up the recipe for the praline. Currently she is claiming to have not written down a thing and that she made it up as she went along. That sounds so unlike her. Perhaps if we beg and plead she will delve into the depths of her memory banks and release the information. If not, I may have to really bastardize the praline in hopes of her making more in my presence so I can then record her every addition. I had an incredible fennel ice cream the other day. 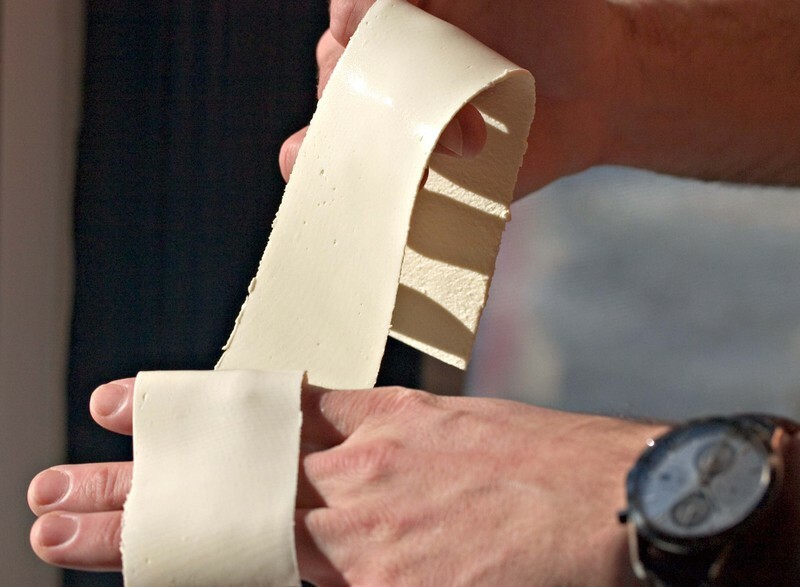 It was made by Johnny Iuzzini of Restaurant Jean Georges. That ice cream brought fennel back into the forefront of my thinking. Since I had a glut of fennel from my shopping spree, I began to work on a an idea I had for a different kind of fennel puree. Instead of trying to preserve the light celadon color of the fennel bulbs, I opted to deepen both the color and flavor of the vegetable into something resembling black licorice candy. I pressure cooked my fennel with black strap molasses for twelve minutes. The resulting tar stained fennel bulbs were then whirled through the blender to create a silky puree. A resounding "Wow!" and a big grin were the results of my tasting the final product. Wow. What we have is a mouthful of intense, satiny anise flavor with the richness of molasses and without any of the sticky chew of licorice candy. Perhaps it will be a partner for scallops or sweetbreads. Maybe it will become a sauce for grilled squid. It could be amazing with a crackling, lacquered squab breast or perhaps, an unusual foil for sauteed skate wings with a delicate, crispy coating. What about ice cream? Johnny's was amazing. I believe that this base would prove to be a satisfying new twist on that delicious inspiration. With a shopping extravaganza like ours, alright mine, I needed to get cooking. And then my computer died. Pictures are being taken though the editing and uploading will be forthcoming. We saw that short ribs were on sale. Excellent, the cold weather is upon us and I never make short ribs at home just for us. Since we were going to the store, I figured we could pick up some chicken wings. Why chicken wings? I had the idea of making a blue cheese brine for chicken wings, today would allow for the opportunity to work through the recipe. As we drove to the store, I started chattering about a number of other mental notes from nut vinegars to more evolutions with cheese gnocchi. By the time we got to the Fairway in Plainview I was fired up and ready to shop. Little did I realize how fired up he was. In the produce section I picked up broccoli, Meyer lemons, Romano beans and a variety of fresh herbs. The beans were in an open case and slightly battered. By the time I picked through the case to get enough for my purposes the shopping cart was half full and Alex was nowhere to be seen. From long experience I knew not to look to closely at the contents and to seriously curtail my own impulses from that point on. When he turned up he was enthusing about vegetable dishes--in the cart there were gold beets and cardoons, black radishes, onions, apples, jalapeno peppers, turnips, pistachios, walnuts, almonds, fennel, and Daikon radishes. We moved through the store, from produce to cheese, which has an olive bar and opens out onto the butcher counter. Although there were two separate displays of the short ribs I went to the counter to see if I could get mine cut to order. The butcher was amenable and while he was cutting I picked up a variety of dry goods for my projects, 32 ounces of maple syrup, 2 bottles of cider vinegar, two bottles of champagne vinegar, two large bottles of passion fruit juice, a couple of containers of ricotta cheese, three containers of smoked salmon ends, close to a pint of capers, close to a quart of prunes, a log of fresh goat cheese, and a few other odds and ends. Then I went back to the butcher and picked up my short ribs and a couple of packages of turkey wings, since the chicken wings were lamentably absent. Ahem, 14 pounds of short ribs for three people. Even counting for bones and loss this seemed somewhat excessive. While he was shopping I picked up AP flour, eggs, milk, and butter for the pantry and a small wedge of Camembert and a wedge of Brie. I added a package of dog treats for Patty and a few cans of soup, which I like to have around for a quick snack or a light lunch. The cart was now groaning and I was beginning to stress about checking out. I told Alex I was heading for the checkout lines and he went to take one last look at the fish. I was happy to see him arrive empty handed although I was dispatched to go get crackers while he unloaded the cart. Final total $253.48. I disagree. The final total was $235, she's transposing the 3 and the 5 in her numbers. Not that he can produce the receipt to verify his numbers. That total was burned into my brain. $253 for a household of three people and one website. We made sure to eat lunch before shopping but there's no defense against Alex's shopping gene. The best part was that as we drove home I was punchy from the amount of the bill and Alex was listing all of the things he forgot to pick up. Anyway, it should be an interesting food week. It's Sunday night. Today we had our first snow of the season. When I woke up this morning and looked out my window, the sky was full of fat white flakes. It was that kind of snow that either melts and disappears or freezes into a slick, icy surface. Either way it was beautiful and welcome. A herald of the winter that is just beginning to unfurl here in the Northeast. For dinner tonight we ordered in pizza. It had a thin, chewy crust and was heavy with cheese, sausage, mushrooms and onions. All of the major food groups were basically represented and the meal was washed down with a rich Anderson's Conn Valley Vineyards Napa Valley Cabernet from 2001. There was football in the background, cats lounging on radiators and a happy dog in the background. What more could a person ask for on this first and snowy Sunday in December? This dish has taken quite some time to come together. What is exciting for me is that it uses the entire beet. Unfortunately the greens were not in good form, so today we are talking the entire beet root. In many professional kitchens, once precise cuts are made, the remainder of the vegetable ends up in the garbage or the compost heap or family meal. We are looking for ways to avoid that kind of waste and utilize as much of the edible product as possible. The dish began when we pressure cooked the beets in a broth of apple cider and garlic. When the beets were cooked, we peeled them and reserved the cooking liquid which we strained and then infused with smoked paprika and reduced. We then gelled the liquid with a combination of agar agar and locust bean gum. Next we took the beets themselves and diced some of them into a brunoise and cut some into batons. 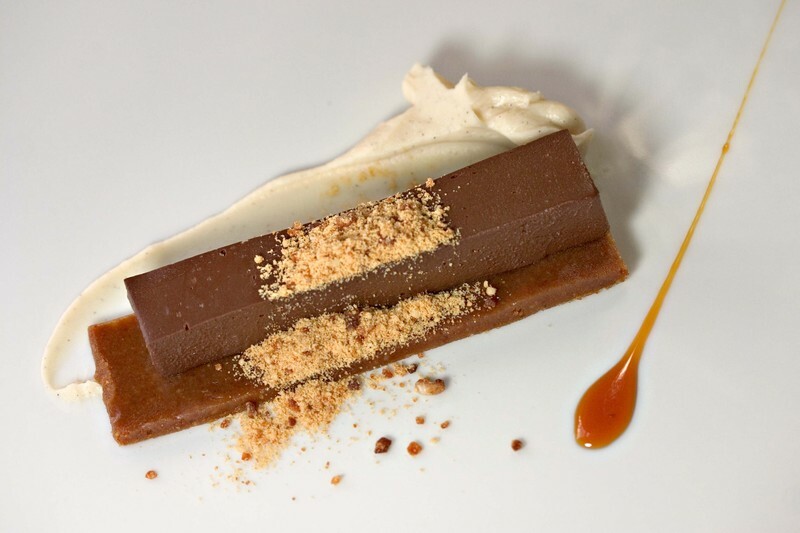 We dressed the batons with an olive caramel and let them marinate to marry the flavors. 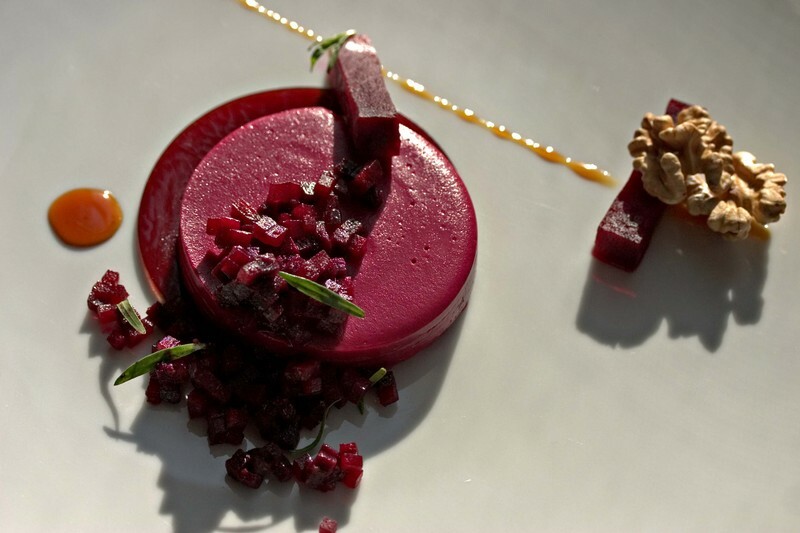 We mixed the cubed beets with a brunoise of our Alfonso olive puree and dressed the mixture with olive oil and the juices from the marinated beet batons. Leaves of tarragon were a last minute addition. The last element to the dish is a pair of fresh walnut halves, which were both tender and crunchy, echoing the flavor of the walnut oil in the parfait. The leaves of tarragon add a refreshing herbal note to the entire dish to enliven the palate as you work your way through the different textures and flavors.